Representing the Handihams at Dayton has always been fun. This sounds pretty simple and straightforward, but what is really happening behind the scenes is that people with disabilities who join our program are going to quickly learn about new technologies, including assistive technologies that will help them in other aspects of their lives, not just amateur radio. By working through the process of earning an amateur radio license, Handiham members become familiar with setting goals and following a plan to achieve them. Handiham members also become part of a worldwide community of amateur radio operators. This community is alive with opportunities for all sorts of life enhancing activities. One can make friends on the air, stay in touch with other Handiham members who might use similar assistive technology such as blind-friendly computing systems and radios, take part in competitions throughout the year thanks to the many awards and contests going on nearly all the time, and learn more about “STEM”, Science, Technology, Engineering, and Math. An important aspect of amateur radio has always been to offer assistance to one’s community and to one’s fellow amateur radio operators. The Handiham program emphasizes these values and encourages our members with disabilities to “give back” by participating in public service through their local amateur radio clubs and to volunteer to help others. The mission of our parent organization, Courage Kenny Rehabilitation Institute, is “To empower people with disabilities to reach their full potential in every aspect of life.” The Handiham program takes its members through a process that builds confidence, achievement, planning, friendships, and volunteerism in service to others. While these values have always been a part of amateur radio, we realize that they transfer to all aspects of a successful and happy life. 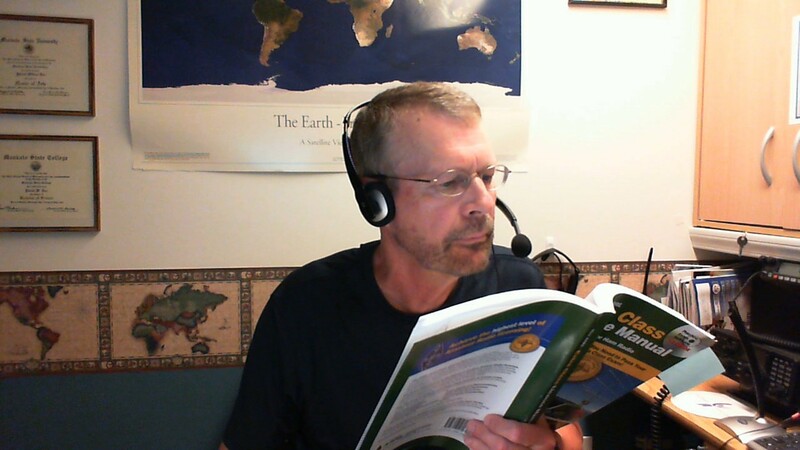 Teaching an Extra Class ham radio license course requires lots of reading. As part of the U.S. government’s meaningful access initiative, the Bureau of Engraving And Printing (BEP) will provide an iBill® Talking Banknote Identifier at no cost to all eligible blind or visually impaired persons who request one. Beginning September 2, 2014, in partnership with the National Library Service for the Blind and Physically Handicapped (NLS), Library of Congress, the BEP will begin a pilot program where NLS patrons can pre-order an iBill® currency reader. Currency readers will be widely available to eligible others beginning January 2, 2015. NLS patrons or folks who want to become an NLS patron can call 1-888-657-7323 to pre-register to get a currency reader when the National program rolls out in January 2015. Once you register in September, you will be on the list for the first shipment of readers to go out in January, or you can wait and sign up in January when the program is opened up to all blind and low vision folks. If you have questions prior to September 2, 2014, you can call The Bureau of Engraving and Printing at 844-815-9388.
iBill® is a currency reader device that provides a convenient means for blind or visually impaired individuals to identify Federal Reserve notes (U.S. currency). Its compact “key-fob” design allows it to be carried in a pocket or purse, clipped to a belt, or attached to a keychain or lanyard. The iBill® is a fast and accurate means to identify all Federal Reserve notes in circulation – $1, $2, $5, $10, $20, $50, and $100. It is convenient and easy to use. Just insert a Federal Reserve note into the device, press the button on the side, and the denomination is identified. The denomination is announced in one of three ways: a clear natural voice, a pattern of tones, or a pattern of vibrations for privacy. The vibration mode also assists people who are deaf and blind. The iBill® operates on a single, AAA battery which typically lasts for more than a year. 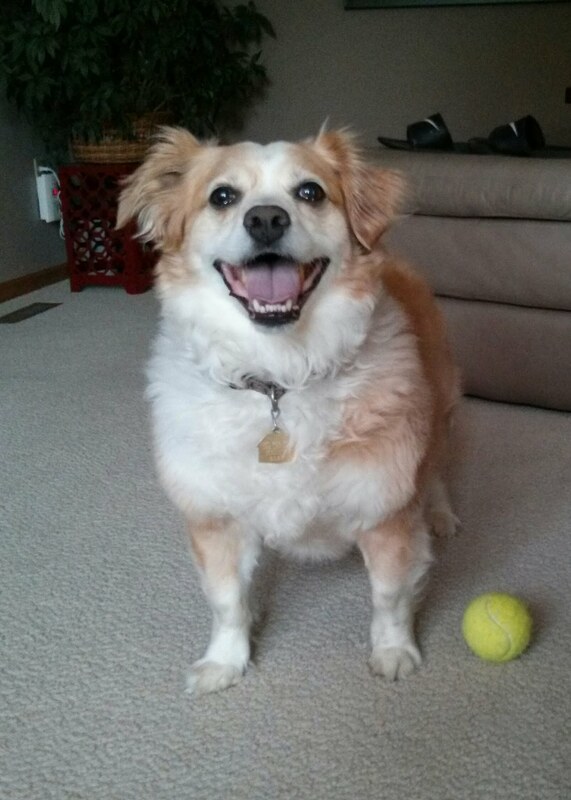 The initial battery is included. The iBill® does not identify counterfeit banknotes. Banknotes in poor physical condition are indicated as un- identifiable and are not read. In addition to distributing currency readers, the BEP will also add a raised tactile feature and continue to add large, high-contrast numerals and different colors to each denomination that it is permitted by law to alter. EyeNote® is a free mobile device application developed by BEP for people who are blind or visually impaired. It is built for the Apple iOS platform and allows users to scan Federal Reserve notes and communicate its values back to the user. The app is available as a free download on the Apple App Store℠. BEP assisted in the development of another app that operates on the Android platform. The IDEAL® Currency Identifier is available as a free download on Google Play. Linden tree attacks buried coaxial cable! This once-buried coaxial cable was actually pushed right up to the surface, where it could be seen in the grass. 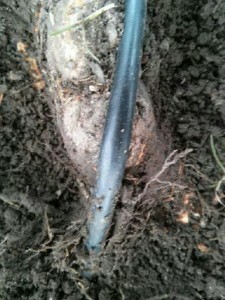 The root had to be cut through and a section removed to allow the coax to be reburied. 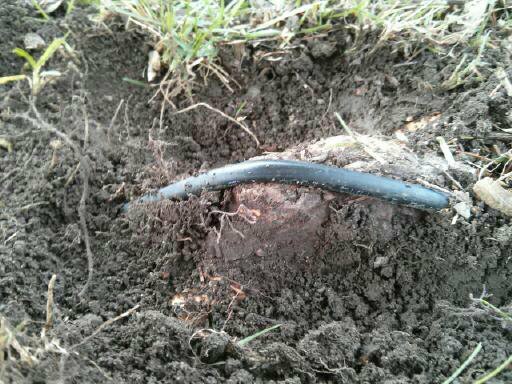 You can see how the upward pressure from this root has stretched the coaxial cable so tight that it is deforming. The cable’s dielectric would have failed eventually. 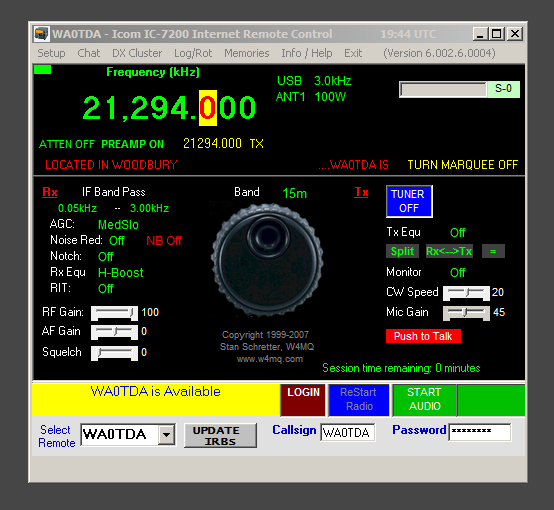 The WA 0TDA HF Remote Base station is offline due to the lack of an IP address. The station is an Icom IC-7200 running 100 watts to a 200 foot wire antenna, center fed with 450 ohm line and a current balun. The LDG AT-200 Pro antenna tuner allows operation on 160 through 6 meters. 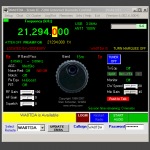 The rig control software is the free W4MQ client by Stan Schretter, W4MQ. 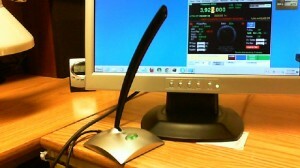 The software is currently hosted at www.handiham.org/remotebase, where you can download the software and read about how to install and use it. The host software is also available for download – everything is free. You don’t need the host software unless you are planning to operate your own remote base station. Audio for this station is ported through Skype. Other remote base stations allow access through Echolink for receive only. Check out W0ZSW-L and W0EQO-L HF remotes, which are both Kenwood TS-480 stations. Use your Echolink search function to find the stations in your station list. Connecting to them is easy – and you can control the frequency via the text box in Echolink. The WA0TDA station does not have this feature at this time, but you are welcome to use the other remotes to receive via Echolink. Transmit privileges on W0ZSW & W0EQO are available to Handiham members. Both stations are equipped with speech frequency readout for blind users. USA licensed amateurs whose living situation does not allow for antennas may be considered for operator privileges on WA0TDA. Please email wa0tda@arrl.net. It pays to be prepared! This boulder wears a helmet made of snow near the trail by Wilmes Lake, Woodbury, MN. Since it is 21 December 2012, obviously it is an “end-of-the-world helmet. 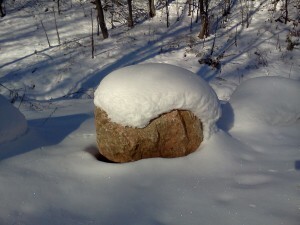 This rock wears a snow helmet on end-of-the-world day, 21 December 2012. Here we see the remote base station behind the scenes. There are two switching power supplies feeding the Kenwood TS-480HX radio. USB microphone and LCD monitor show remote base software interface. The current balun is covered with an old plastic food container. The loop of coax keeps RF off of the coax lead going through the wall into the radio room. The 450 ohm ladderline comes out of the top and drops down slightly before heading up to the antenna to form a “drip loop” to keep water from following it down to the balun when it rains. Since the antenna situation was upgraded here last Summer I have gotten a lot of good reports about my signal on the 75 meter band, which is where I do most of my operating. The antenna is an “OXB Special”, and Dave, W0OXB himself helped me with the assembly and installation. It’s a 200 foot dipole – actually a double extended zepp – fed with 450 ohm ladder line and a current balun. 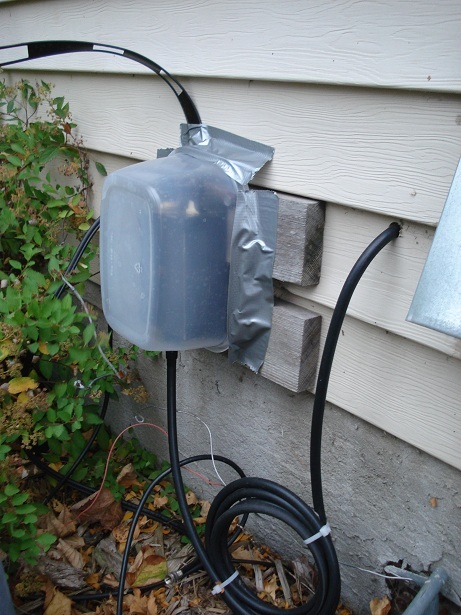 The balun is mounted outside the house near the foundation, and the ladderline snakes up through some bushes and a locust tree to the center insulator. The average height is pretty unimpressive, maybe 18 to 20 feet. However, on 75 m, this is really not a big deal. The kind of operation I do really requires a fairly high angle of radiation anyway. 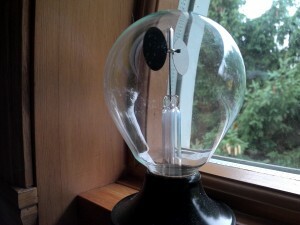 This antenna tunes on every HF band covered by the rig – 160 through 6 meters. I use an LDG AT-200PRO tuner. Internal antenna tuners built into radios often do not have the range to tune this kind of antenna. This afternoon I checked into a net and the NCS wanted to contact me later on to find out more about the great antenna!